Throat irritation? Bad breath? With one in your mouth, icy cool and soothing relief will be instantenous. You will also feel cool and fresh. Handy pack with Zip & Lock for you. 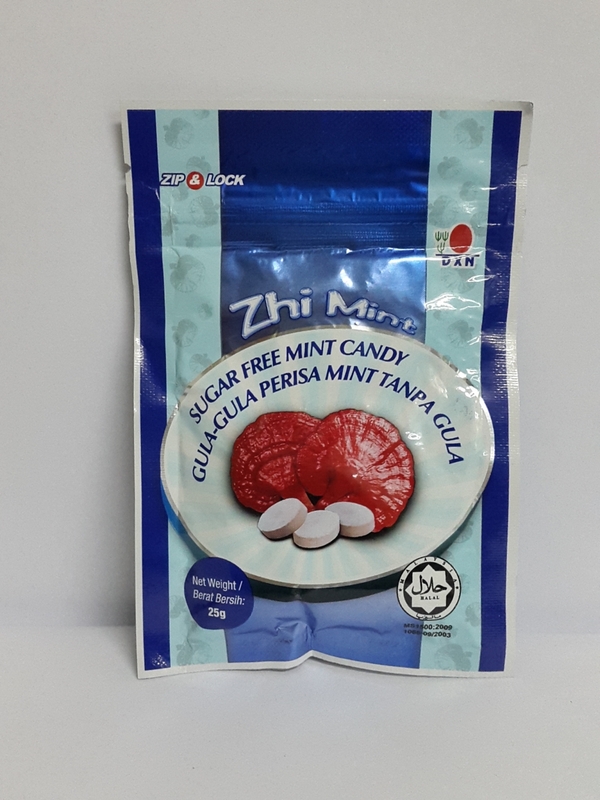 Maltitol, Ganoderma extract, Peppermint Oil. Contains permitted flavouringsubstance and anticaking agent as permitted food conditioner.